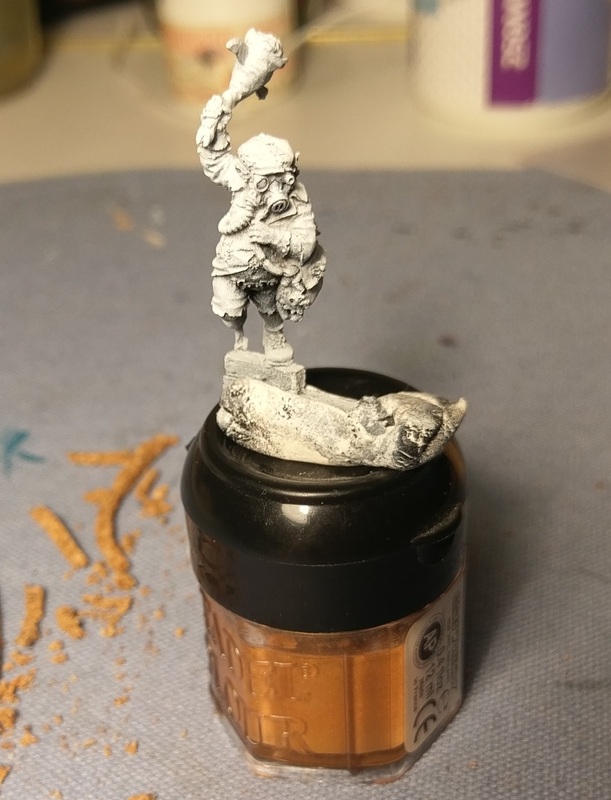 I've started a display base for an Urkin. My initial sketch was pretty simple, the backdrop is a building with iron paneling and a wooden door slightly ajar with a hand reaching out. The urkin is running away across cobblestones covered with refuse. 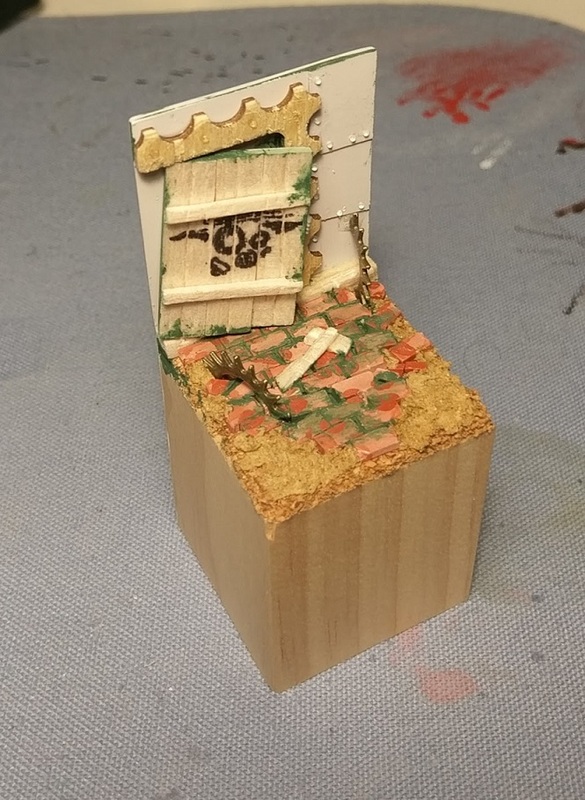 Just playing around with some materials on the base so far - cork, balsa, plastic and juweela bricks. Nice start, should be interesting. Oh cool! I like the base so far and Porker is a cracker of a mini! It'll be great to see another painted version of the urkin Porker! Really looking forward to seeing what you come up with Have you got some cool ideas for hte colours? Oh man, I really wish I'd known about avoiding 90 degree right-angles before starting. 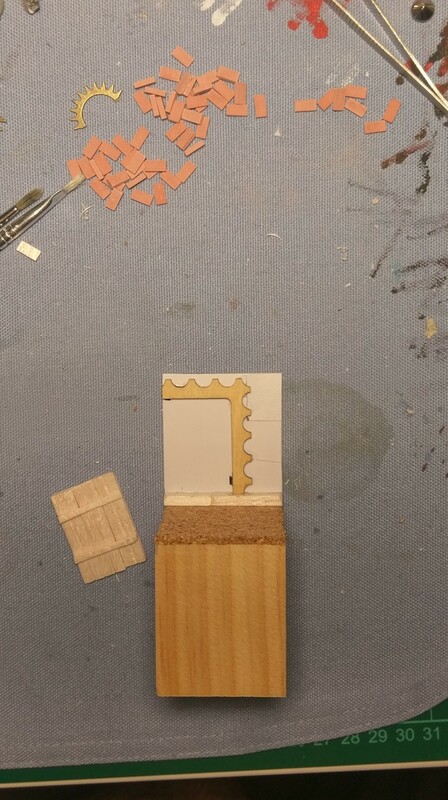 I've now put the door in off it's hinges on an angle and added some other elements at different angles. I'm really suffering from analysis paralysis playing with these colour wheels! Any tips there? 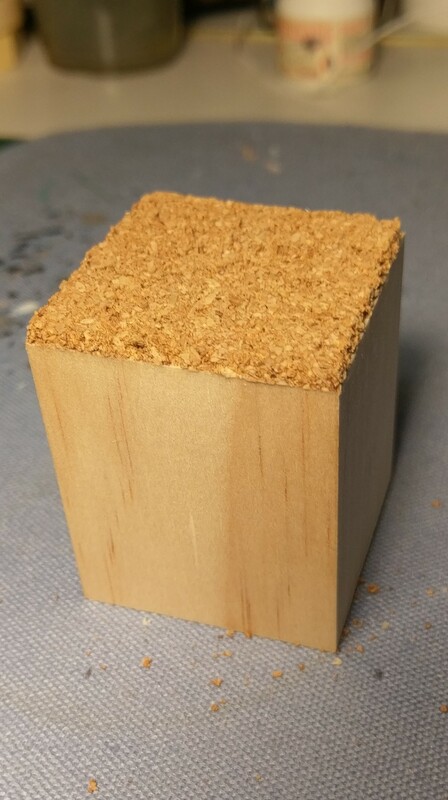 That is a really nice base! I'd tend to add hints of greys in all the colours for urkin. I did it for an Eldar Farseer I painted ages ago and it worked a treat. Just a little. You still have the bright colours but they are softened just a touch.